You would be admitted to the Day Ward and the admitting member of the nursing team would ask you some routine questions regarding your general health. I will see you and take you through the surgical procedure, the pros and cons of surgery and the risks involved (reiterating the discussion we had in clinic) and would complete a surgical consent form. 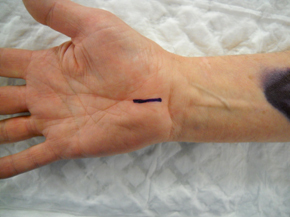 The hand would be marked using a marker pen to confirm the side of the operation. You would be taken to the operating theatre and my team members would confirm your details and a few routine checks would be carried out (such as hospital number, allergies, operation etc.). 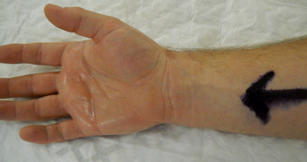 After cleaning your palm with antiseptic solution, I will inject the local anaesthetic around the wrist at the base of your palm. Patients often say, " It feels like a bee sting. 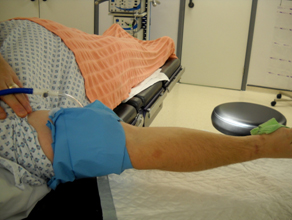 An exsanguinator is used to milk the blood away from the hand and a tourniquet (like a blood pressure cuff) is inflated around your upper arm. This can be a bit uncomfortable but allows me to operate in a bloodless field. 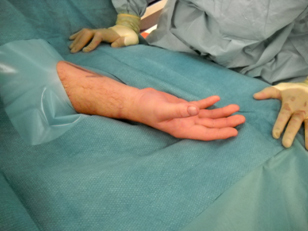 The arm is cleaned again with alcohol and sterile drapes are used to isolate the hand. 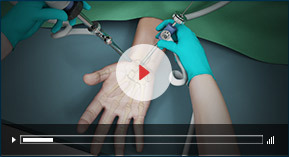 A skin incision about 2 cm is made and the carpal tunnel is released thereby relieving the pressure in the nerve. 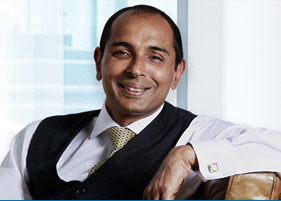 During the surgical procedure, you may well feel some pressure but you should not feel any pain. In the unusual case scenario, I will top up the local anaesthetic. The operation takes about 10 - 15 minutes. 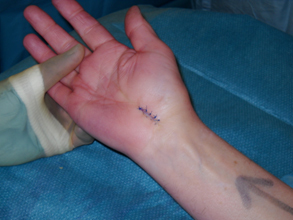 The skin incision would be closed with 4 - 5 stitches and a bandage applied. Your fingers and thumb would not be bandaged. You will be able to move your fingers and be able to pick up light objects. 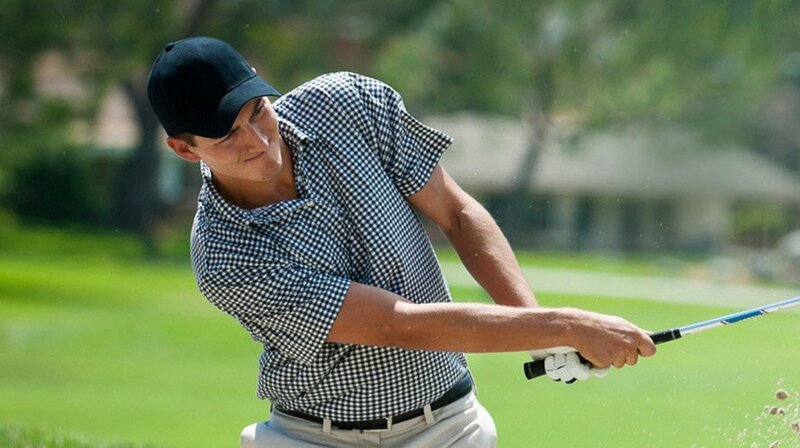 You need to elevate your hand as much as possible. Keep your fingers moving and make a tight fist. 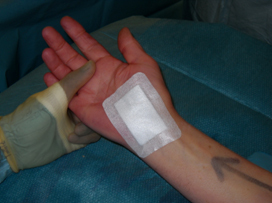 The bandage can be removed at 3 days and the sticky plaster changed. 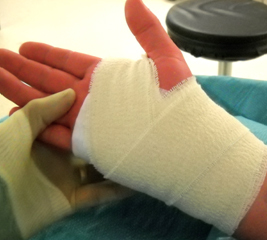 You must keep the wound dry and at 10 - 12 days the stitches would be removed by a member of the nursing staff or by myself. I recommend using any cream to desensitise the scar. I.e. Rub / massage cream over the scar gently and then firmly for 10 minutes 5 times a day. You can expect to regain 80% of the grip strength by 4 weeks and 95% by 6 weeks. The risks of the procedure are very small indeed. 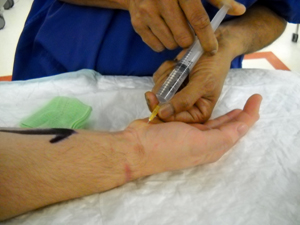 Bleeding, Infection, Nerve injury, Failure, stiffness and pain around the scar can happen, and the risks are well below 1%.